My name is Alexandra or Alex for short, which tends to be easier to remember.I am 26 years old and I live in Cali. I have been around the comm for I want to say a year and a half give or take. I discovered the comm while browsing around. I like the fact everyone is really friendly and I have met a lot of new friends because of the comm. Never really got around to to making an intro post,busy with work and what not; or even showing the smallish collection thus far. I have been a fan of Pokemon since it first arrived in the the US. I have played almost every one of the Pokemon games with the exception of gen 3's games XD. I really fell back in love with Pokemon after playing Pokemon Diamond and became really attached to Luxray, which I nickname Lionheart and then later Leon as a Gijinka. One of my all time favorites is Charmander(now Charizard), and Vaporeon which I still have in my Pokemon White game from Fire Red. My collection consist of what I keep in my party most of the time. Sooner or later I am going to get a shelf or something to display my plushies more properly. My favorite pokemon are in order Charmander(Fang), Luxray (Leon-Lionheart), Vaporeon (Vap), Darkrai (Takeshi), Snivy (Feng), Zoroark ( Angela), Zekrom (Tron), and Latios. I normally nickname the pokemon i favor and use most often. Guys we just need a few more charms claimed! 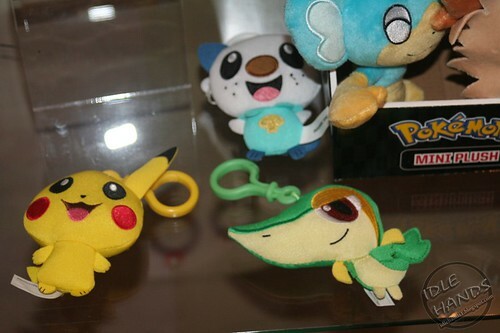 Loudred, ralts, machop and machoke then we can get this lot ordered! UPDATE - added Moltres, some more Zukan pieces. Hi everyone, under the cut is my very first sales post! 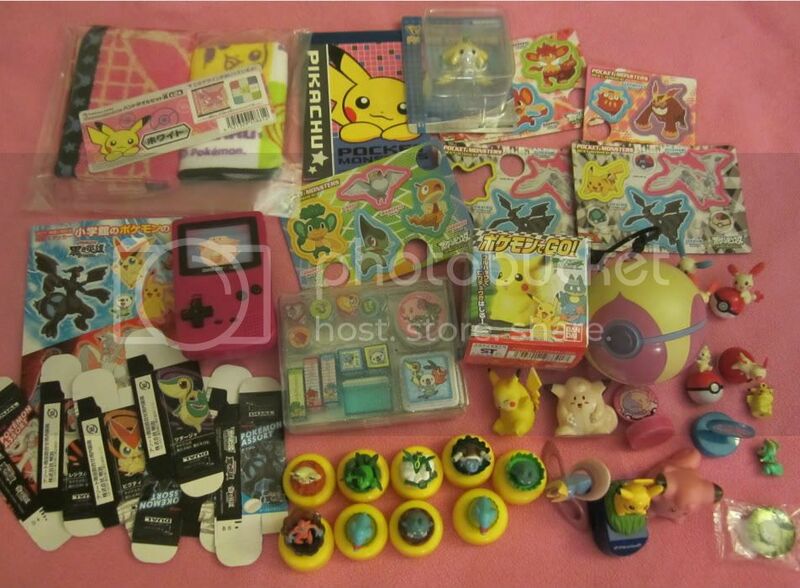 Lots of rare stuff including Zukan, Sugimori Cardasses and 10th Movie TOMY figures. I just checked to see when I last posted, and it was a month ago!!! I have been lurking around, but not as active because I was back to working. Then I quit that job and got a new job, and wedding planning... but there is still time for Pokemon!!! and I FINALLY have a decent collection update! I recently moved the majority of my collection from my sons room to my room and it's taken me a while to set up the shelf again. It's still not 100 per cent complete, but it's at least presentable! and I apologize ahead of time for pretty bad photos. If my fiance was home I would've made him take the pictures, but oh well...! picture heavy!!!! and so ends my collection update! I'm soon going to be putting some items on ebay. 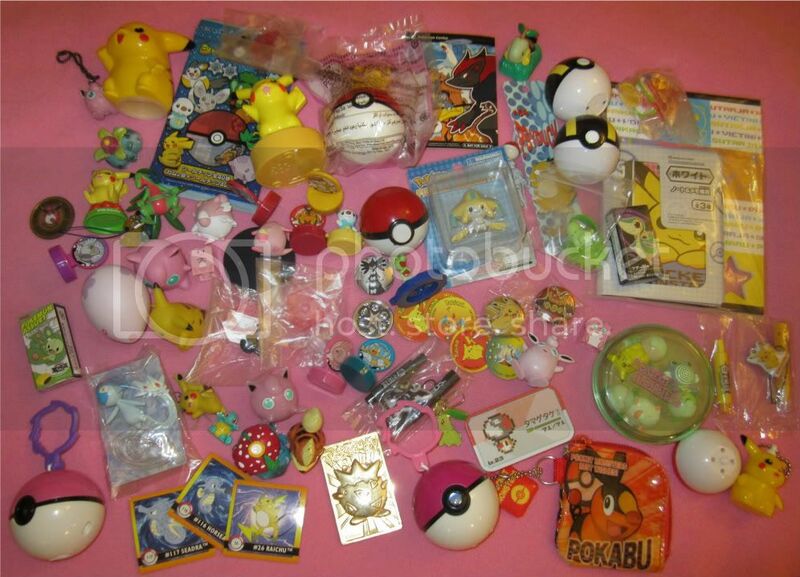 it will consist of a lot of extra marill items I have among other things. I need to weigh them and get a shipping quote ahead of time though. Which takes time so XD look forward to that! WHAT IS THIS BEAUTIFUL THING!?! did it just come out today!? i see one on y!j and I want to buy it but ooohhh the fees...! does anyone know if this was part of today's release? did anyone see any? I am ready to explode it's so adorable! I have fallen into the "buy whatever is cute/cool" and have decided that I should really focus on my actual collection so there is quite a bit of weeding to be had! Also my Wartortle and Charmander banks are still up for offers! I think I will close offers on these soon since its been like a month so get your offers in! Charmander hasn't even had an offer and Wartortle is still at its reserve! Also, since I upped my claims, there are two stamps who remained. And now to my question! I am not very familiar with TCGs, but are Rumble TCG cards rare or something? I never really see them being sold on this community. Any information would be appreciated! Hot Topic GB payments DUE! To all who participated in the Hot Topic GB, your payments are due! You do have 48 hours from this post to get your payment sent, but please pay as soon as possible. I placed the order yesterday afternoon, but it still says "fulfilling", so there is a slight chance of a few items being sold out. If that happens you will be refunded, however I doubt we will have that problem. Send your payment to the email address provided on the sheet, and be sure to include your username so I know who you are. Your order will be sent to the address provided by your PayPal account, so make sure that info is correct! You will be notified through PayPal when your order is shipped, and I will make another post when the order comes in. And now to make this a multipurpose post I am doing a sales plug! 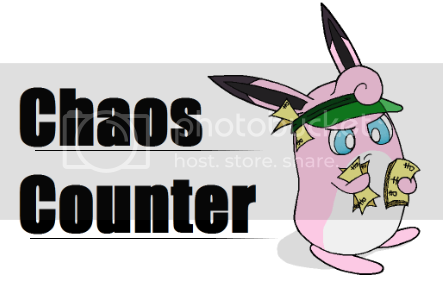 Check out Slowpoke sales for TCG! Also, check out my Etsy shop, Geeky Cute Crochet, for some charms! 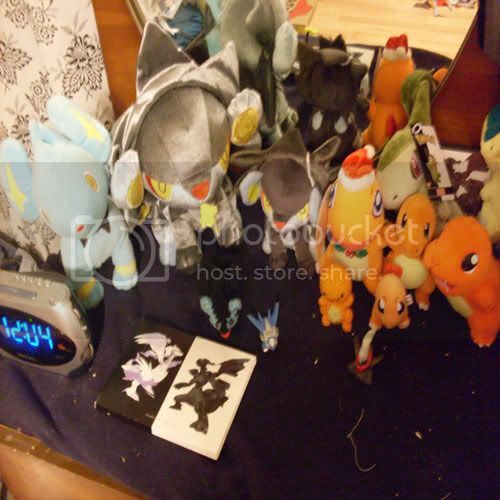 I'm stocking up for Anime Central(ACen), so I'm not taking any custom Pokemon orders at this time. That's also why there are no Pokemon amigurumi in my shop right now. If you're going to be at ACen let me know! I'm going to be right on the edge of the Artist's Alley so be sure to stop by! Hi guys. 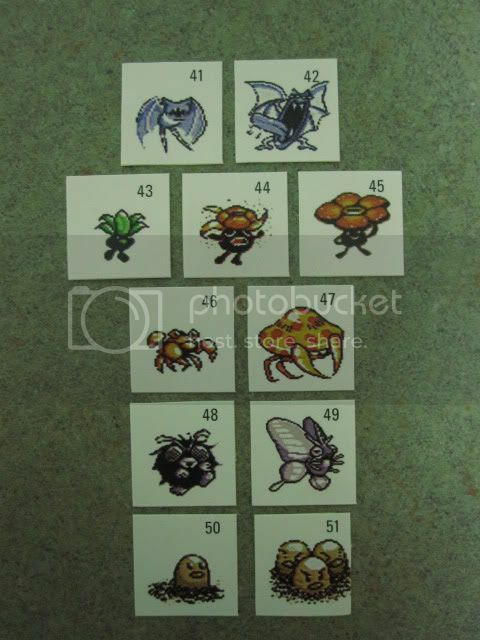 I've seen these around the community a lot, and i'm wondering where they are from, and where to get them. Thank you :D. Also, I will do a collection post soon! Hey everyone. c= I come to you today with my very first sales post! I should also have some collection updates to do soon, but I'm waiting on some packages to come in first. But anyway! You can click on the banner below to see what I have to offer right now! I am trying to make room in my tiny apartment for a drawing desk, so all my unsold sales stuff MUST GO! 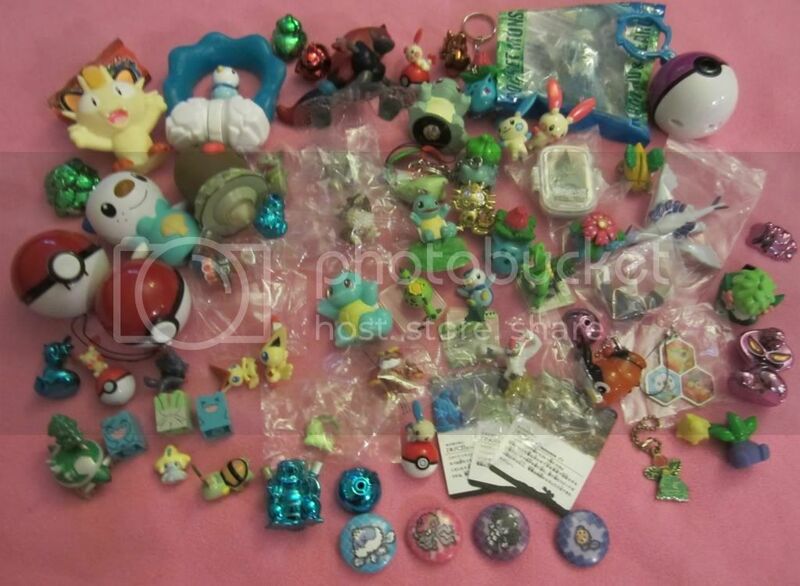 I've put it all in a lot on eBay starting at 99 cents :3 Includes a talky, a MIB plush, a Pokedoll, and lots of other goodies- most of which are Japan exclusive! In other news, I am looking for a Emboar plush to go match my PokeCen Tepig and Pignite- they need a big brother! And for fun, my entire Tepig collection so far. My lizard still needs a new tank sales!! Thanks to the plush I auctioned, I have half of what I need to get Sage's new enclosure! I greatly appreciate all those that participated and I would like to say thanks again. 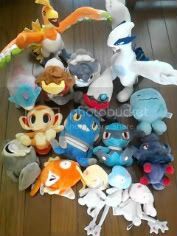 Today, I am just doing straight sales of, you guessed it more Pokemon plush!! All the money raised will go in the pot to help me get my Basilisk his new "home!" Today I want to show my card collection, which I had started before collecting plushies and other stuff (well, that is to say, before I joined the comm! ^^) I'm really proud of what I have so far. I took the pictures with my iPhone, so that's why they're a bit crappy-looking (sorry about that!). I keep my cards in a portfolio featuring Victini on the front cover (from Noble Victories). Pickup results and new item photos! Final reminder on the ginormous auction!! Just 1 day left, there are still a lot of flats left unclaimed!! And we are still a little short on the minimum bid...so BID BID BID!! I will also post a collection update next week, I am just waiting on a couple of remaining things to come in!! So, I found these cool old books at my local used bookstore in the foreign language section. a tale of tragedy! heartache! true love!! things were missing from shelves in minutes. maggyo items vanished before people's eyes. when this promotion was announced, you comrades of the comm asked, "but why maggyo?". this is one of the best-selling pokemon the center has seen in years... even eevee collection was NOT THIS BAD. what!!!! i have a few, too-bad-to-post-to-the-comm photos of my own spoils (he DID manage to get ALL 28 goods!) on my personal LJ, but if you want to see clear pics of maggyo goods, i recommend keeping an eye on Y!J! i cannot wait to post this fishtastic collection update in another week and a half!! until then. new york toy fair 2012 is happening, and of course jakks in there. in typical jakks style, they did not show off upcoming toys, 90% of their display was stuff ALL OVER TOYS R US SHELVES RIGHT NOW, with basically NO sneak peeks of any of their 2012 lineup. jakks, i am disappoint in you :(! this, i think, is the only new thing? cute eh? you can see the entire setup here on flickr. thanks, idle hands toy blog! I collect Pokemon Figures or all kind. Anyway, since I bought 2 boxes, I have SO many dups which is good for you! Commons start at .10 and Uncommons start at .30! Since I just moved to my new apartment today, I just don't have time to take pictures or scan the cards so they will be all listed out. !VERY INTERESTED IN TRADES! (with cards for sale) Unfortunately, my inventory is not quite ready yet and has been set back due to packing so if you'd like to trade, please show me your sales or send me a list. THESE PRICES ONLY LAST A WEEK! Cute Dolls GA payment 2 + Awesome Plushies GA Update! Hi, guys! It's time for payment 2 for Cute Dolls GA! Include your LJ Name & Cute dolls GA Payment 2 in the title and memo! Please notify me when you have paid, so I can edit the spreadsheet. An update on Awesome Plushies GA! But I finally did and everything was there, no missing things! :D Anyway I bring you photos of your items! Anything can be combined with my previous sales, although keep in mind that some pictures in my old sales may be outdated as I sometimes forget to update. Since the original lot I featured sold quickly, I decided to put up two new lots! Lot 1 is about 70 items and will be $40 shipped in the US, Lot 2 is about 60 items and will be $35 shipped. Many sales are below, including Clear Kids, Metal Charms, and more!! This is my first Collection post! This post only contains figures! Alternatively, we might consider buying a large quantity for a fairly low price (ie - a box of assorted merchandise for $15 or something like that). I would like to stress that our convention is not-for-profit, and aside from the price of the cost of the badge, it is completely free to come to these events and compete for prizes. Any donations received will go straight into the prize pool, not into my or anyone's personal collections or sales posts. I have been a semi-active member of pkmncollectors for at least three years now (though I've not been very active for the past year), and have nothing but positive feedback. I got the approval about this from a mod (Gin in fact) a couple of months ago. Anything in my sales post that isn't sold or traded away by March 15th will get thrown into the prize pool as well. 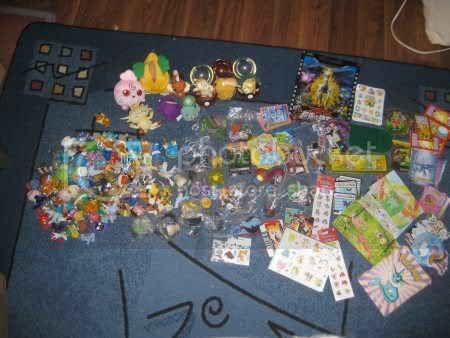 I have a few plush, some kids figures, TCG tins and coins, and a bunch of rare cards. Thanks for your time, pkmncollectors!